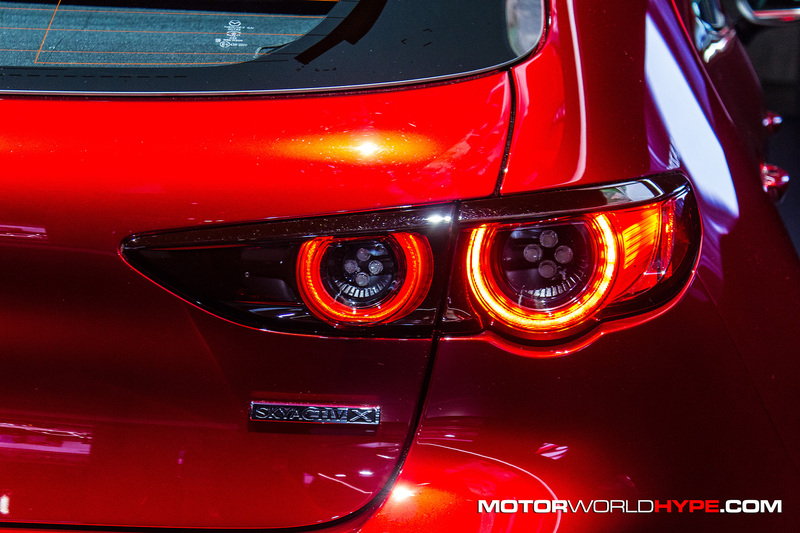 If you aren’t in the mood to read, check out the video below for a quick, close-up look at the new Mazda3. If you enjoy words then scroll past the video and read all about it! 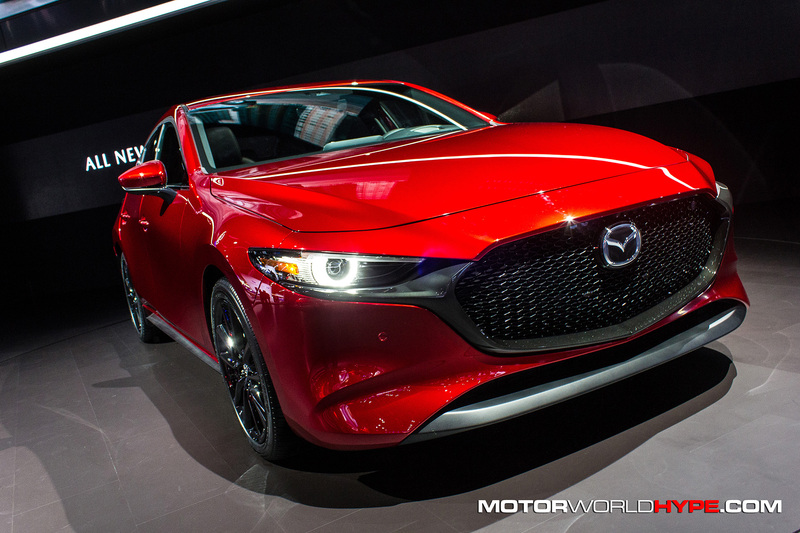 Mazda has finally revealed the new Mazda3 which is almost a direct translation of the concept vehicles the company showed off earlier this year. This is a car that many (including myself) have been anticipating for quite some time. 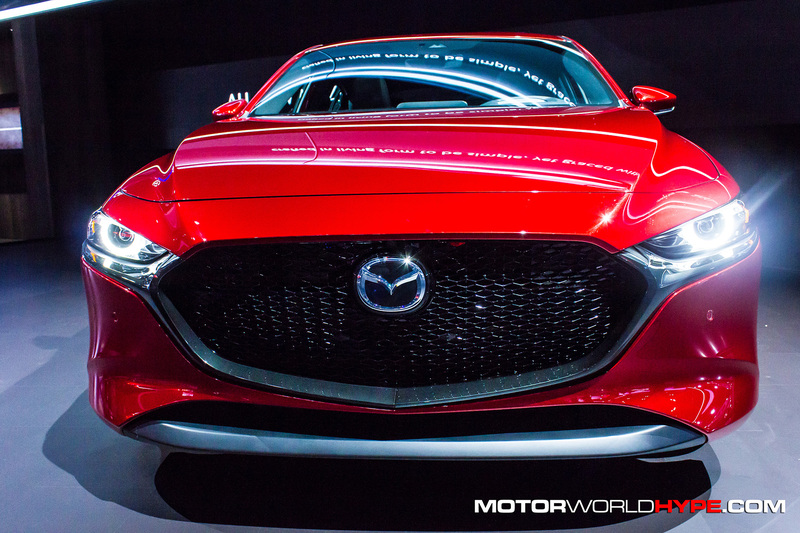 Would Mazda finally listen to their die-hard fans? 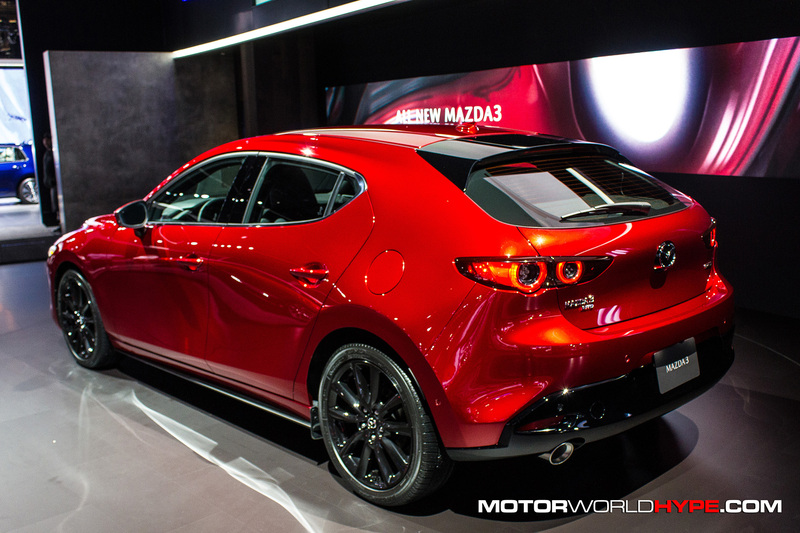 Would the new Mazda3 be the next combatant in the “hot hatch” battle? Unfortunately, it doesn’t look like it. 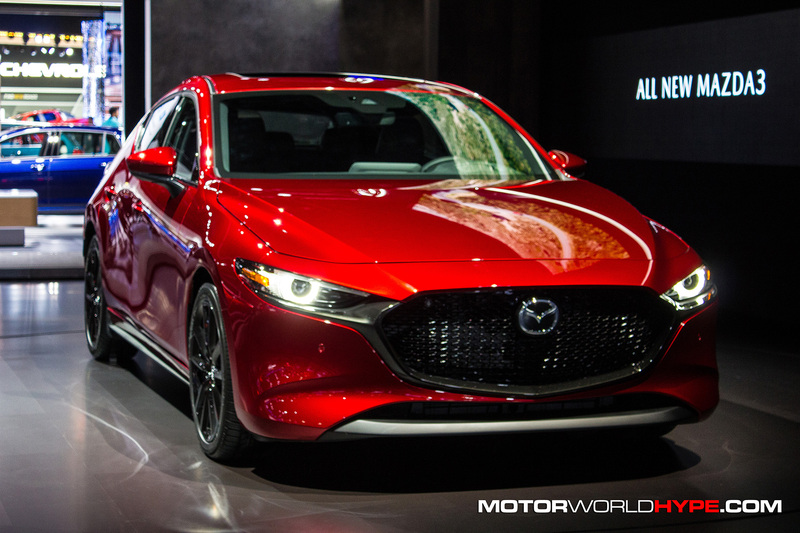 It seems that instead of trying to win over Ford Focus ST or Civic Si buyers, Mazda is aiming for those who want a Lexus or Acura but don’t quite have the cash for it. 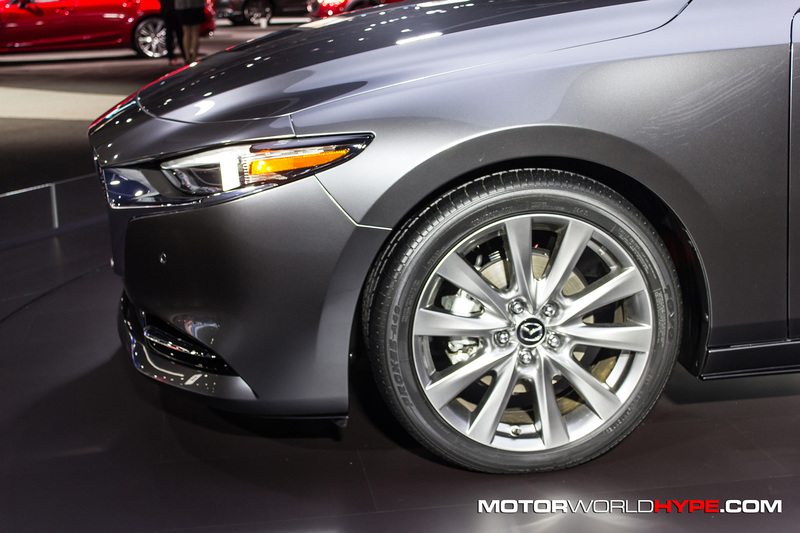 By that I mean that Mazda is leaning hard into their strategy of providing upscale economy by building cars that are inexpensive, get great gas mileage but have luxurious styling and amenities. 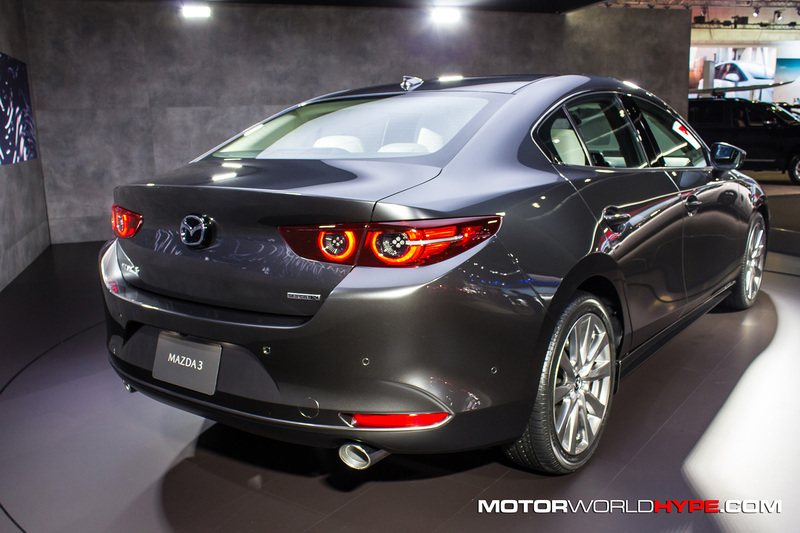 It seems that the Mazda3 will be no different. At first glance, sure it looks very sporty but if you really look at it, it is easy to see that it has a more elegant flair. 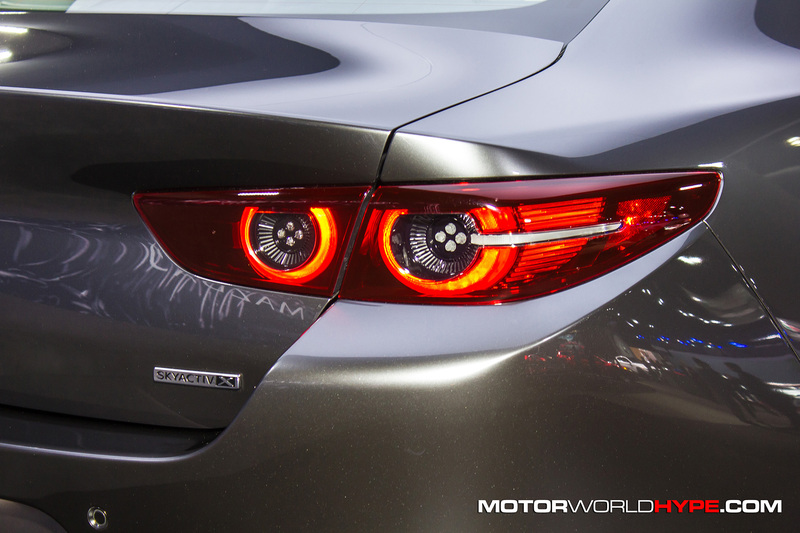 Especially when looking at the chrome accents on the large front air damn. Inside, things get even more fancy as the seats and dashboard are covered in leather and it comes together very nicely. Mechanically things looked promising as well. 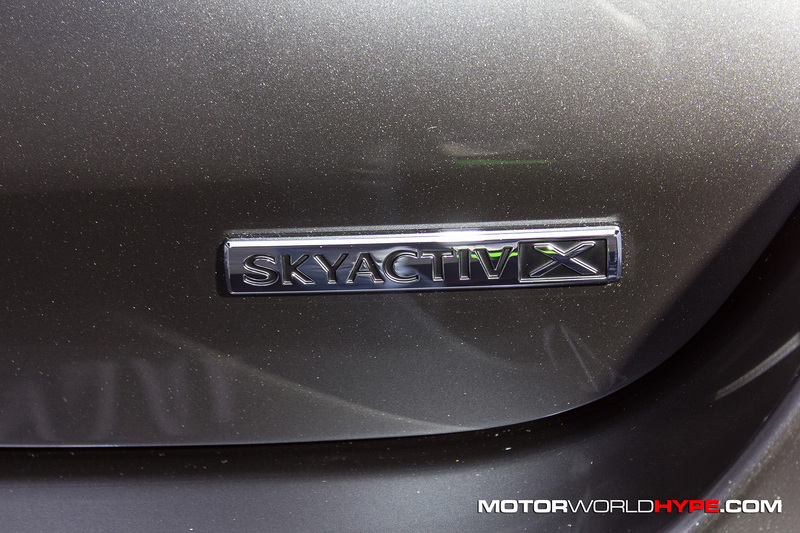 There will be 5 total engine options: 3 gasoline engines ranging from 1.5 up to 2.5 liters, a 1.8 liter diesel engine, and the SKYACTIV-X engine which is an engineering marvel that I know nothing about. 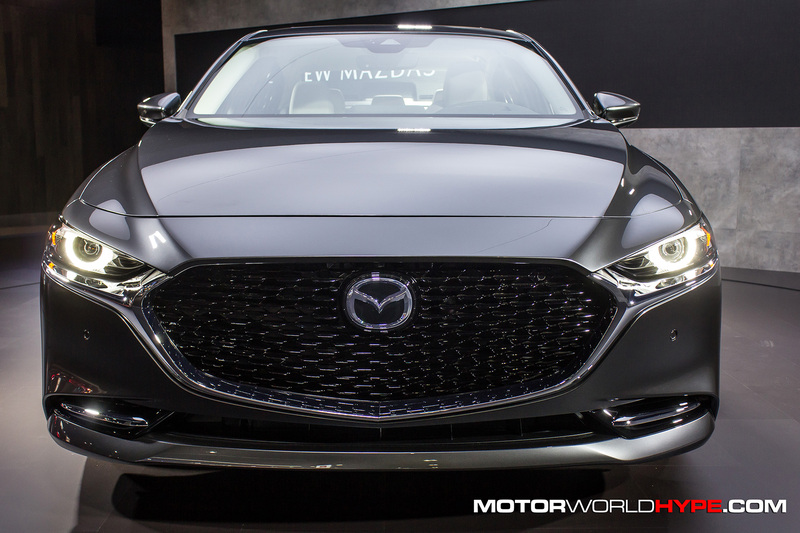 In addition to the 5 engines, there will also be an AWD drivetrain option (called I-Activ) available on both the sedan and hatchback versions of the Mazda3. Alright so the car looks beautiful inside and out, it has a bunch of engine options, and AWD; So where is the disappointment? Well, as far as I can tell, none of those 5 engine options will have a turbo. Also, remember that AWD system I mentioned earlier? 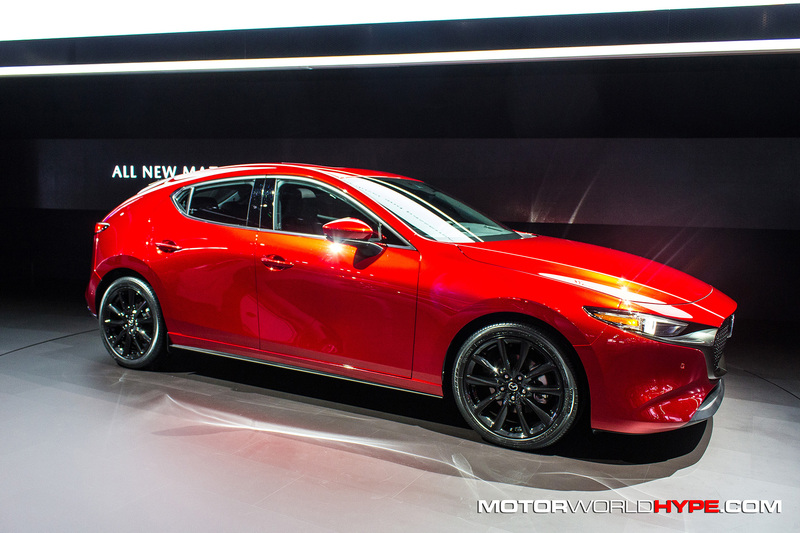 It is a part-time AWD system not full time. Furthermore, the AWD system is going to be market-specific so there is a good chance we won’t even get that option in the US. 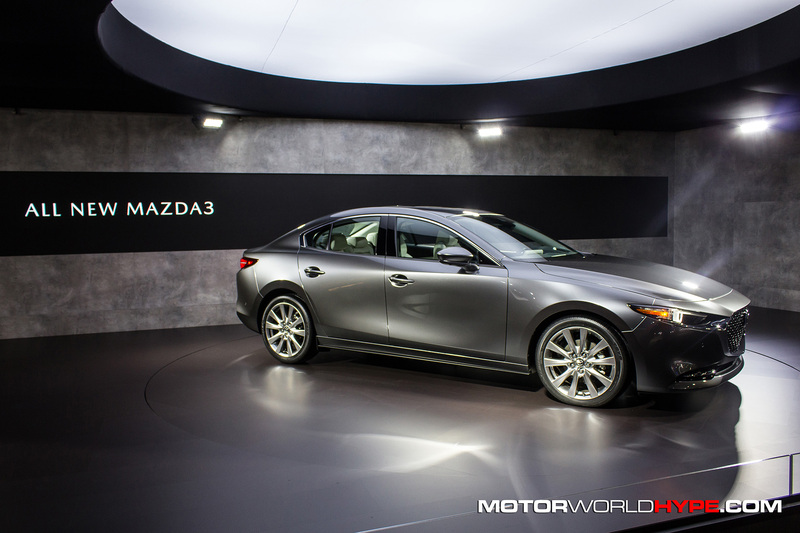 With the non-turbo engines, and the part-time AWD system, it is looking like we are going to go through yet another Mazda3 generation with no Mazdaspeed3 variant. 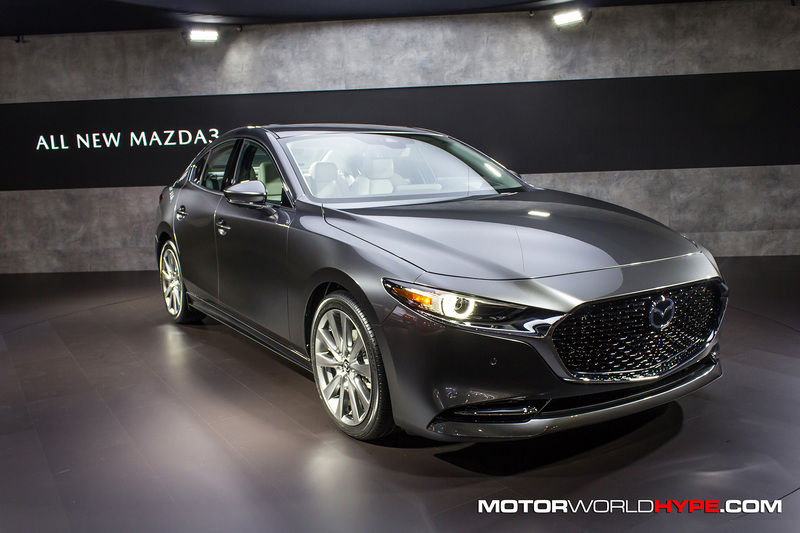 That is definitely a bummer but perhaps if Mazda’s new econo-luxury strategy works and this car sells exceptionally well, there may be bandwidth to do a speed3 the next time around. 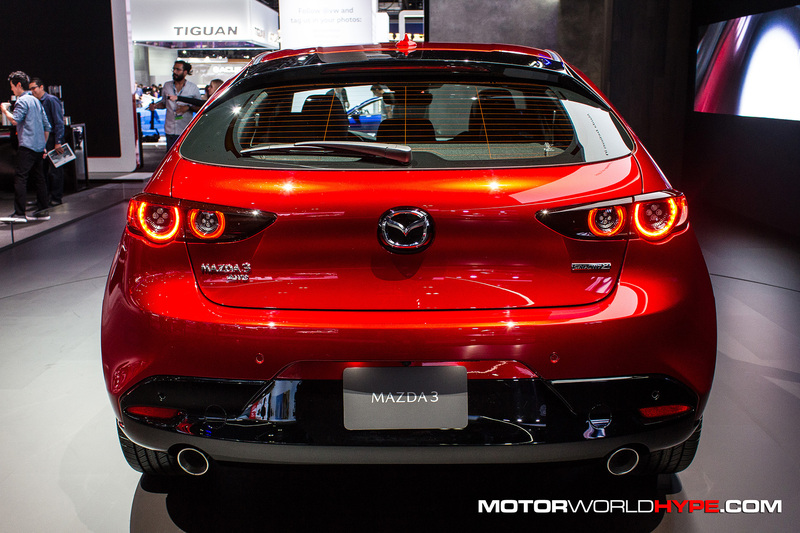 What do you think about the new Mazda3? Do you like its new direction or are you bummed out that they didn’t go more performance oriented? Let us know in the comments below.